Welcome Dear Readers. 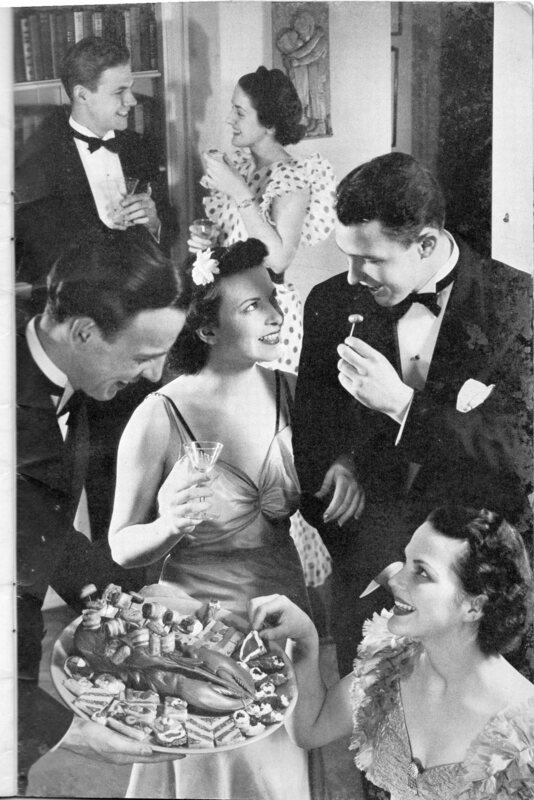 I found this picture in a 1937 cookbook which was just begging for some dialogue using slang from the 30’s. Hey this party’s ring-a-ding-ding, don’t you think so, dollface? Suppose I say you’re a looker with a swell pair of get-away-sticks. Suppose I say that’s the smoothest line of monkey talk I’ve heard all evening. Suppose I say we blow this wingding and stop at a speako for a bottle of beer. Suppose I say you’ve had one too many snoutfuls if you think I’d fall for a chisel like that. Suppose I say let’s stop by my place, I’ll peel off this tuxedo, and we’ll roll a few lines at the bowling alley. Suppose I say where did you learn to sweet talk, from a correspondence course? Suppose I say I wonder if you’re giving me the kibosh? Suppose I say I’ll let you know after I finish this glass of giggle. Suppose I say I’m going to park a honey cooler on those lips 0f yours? Suppose I say try it and I’ll ram this gobble-pipe up your schnozzle! Suppose I say remind me never to get dizzy with a dame who is holding a saxophone. Suppose I say that’s the smartest thing you’ve said all night. Hey, I had you pegged all wrong, maybe you’re not a flopperoo after all. Hey listen, muffin, let’s get another glass of rot gut, put on a keen platter and jolly up! Murder! Now you’re talkin’ mister! Welcome Dear Readers! It’s time for a dose of the Slightly Creepy Seventies. An era that always cheers us up simply due to the fact that we are not living in it! Life in the Slightly-Creepy Seventies was creepy. Times were weird. Coping was strange. That’s why the very first home project on every Slightly-Creepy Seventies handyman Dad’s list was a great, big, huge, honkin’, wine rack of epic proportions! Because nothing made the time whiz by in the Slightly-Creepy Seventies better than being incoherent. Here’s an adorable, Slightly-Creepy Seventies bedroom makeover Handyman Dad made for his little teenage daughter, Jennifer, or maybe her name’s Melissa. And if a full complimentary bar doesn’t effectively blur the lines between Slightly-Creepy Seventies reality and Slightly-Creepy Seventies teenage angst for precious Melissa (or Jennifer– who cares), Slightly-Creepy Seventies Handyman Dad doesn’t know what will! 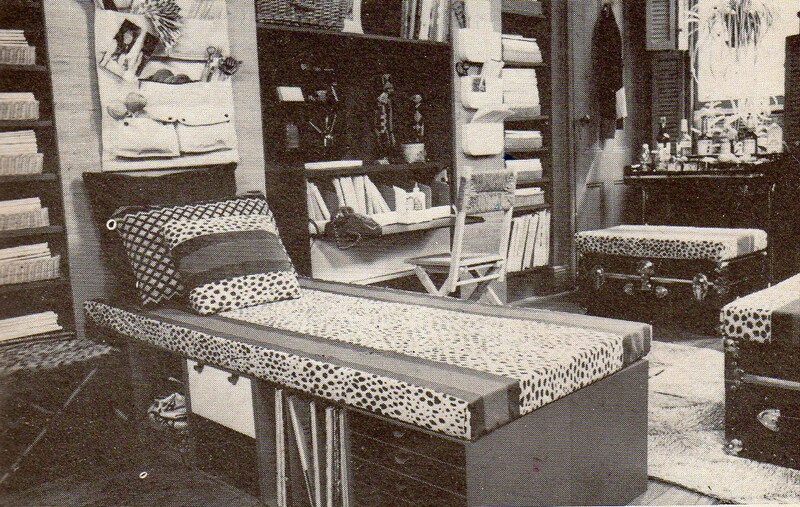 Oh sure, having a bar in a teenager’s bedroom by today’s standards might be considered negligent, but in the Slightly-Creepy Seventies, nobody considered anything. Things simply happened. Handyman Dad thought it would be fun to install a bar in little whats-her-name’s bedroom and install a bar he did! Who are we to judge the parenting decisions of the Slightly-Creepy Seventies? Now it’s time For Handyman Dad to enrich the lives of his other kids (the sober ones) by building a Slightly-Creepy Seventies Outdoor Play Structure. Oh no! It looks like the force of gravity is ten times the normal amount!! Look out little Jennifer . . . Melissa?. . . Who Cares! 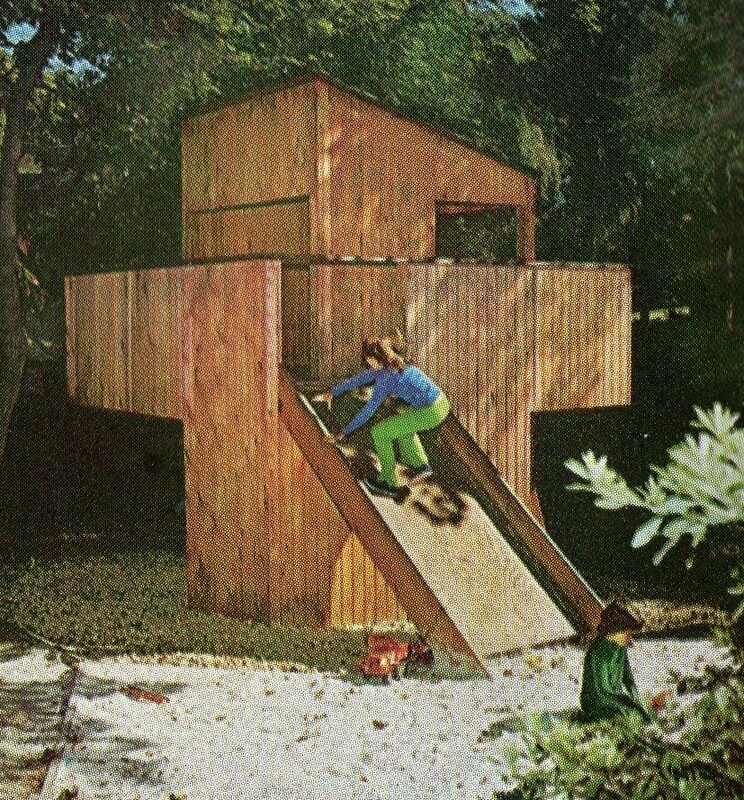 It looks like Slightly Creepy Seventies Handyman Dad accidentally built this Slightly-Creepy Seventies play structure over a gravitational anomaly where the perceptions of the laws of physics and gravity are in question! What are the odds? Well the odds were actually 100 % in the Slightly Creepy Seventies! So that takes care of Slightly-Creepy-Seventies Handyman Dad’s home projects for the kids. But what about his lovely wife, Slightly-Creepy-Seventies Mary Tyler Moore? Well, Dear Readers, pictured below is the Slightly-Creepy Seventies home project Handyman Dad’s been dreaming about since he polished off the last bottle of wine in his Slightly-Creepy Seventies wine rack (see above). Perhaps you’ve already guessed what it’s going to be . . . If you guessed a Slightly-Creepy Seventies Nursery/Stripper Pole, Congratulations! You’re really getting the hang of the Slightly-Creepy Seventies! And for those of you who guessed correctly, be sure to stop off at Melissa Jennifer who care’s room and fix yourself a Tom Colins, nobody will ever know the difference anyway as they are all outside trying to extract little whatshername from the Slightly-Creepy-Seventies, Outdoor Play Structure Gravity Vortex. And there you have it, Dear Readers, a little Slightly-Creepy Seventies to get you through the weekend. Do You Suffer from Jam Side Down Syndrome? The Scenario: Shuffle to computer holding toast and jam. 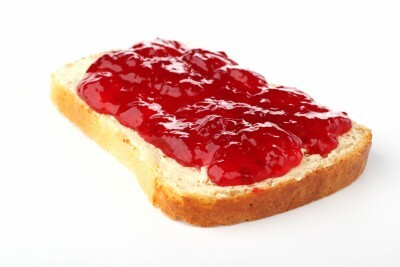 Promptly drop toast and jam — jam side down — onto computer keyboard. Now most people would label this as the beginning of a very bad day — a Jam Side Down Day, if you will. But for me, it’s simply part of my normal, everyday, existence. That’s because I suffer from a syndrome called Jam-Side-Down Syndrome or JSDS. You’ve probably never heard of it before due to the fact that I just now made it up. Extremely rare photo of Jam Side Up. Experts cannot agree as to its authenticity. And I bet this new miracle drug will probably be no more addictive than your average heroin cigarette and with a risk of side-effects no more dangerous than, say, marrying Henry the VIII. So no big whoop all the way around! Wouldn’t you agree? Now it seems the only thing left for me to do is think up a quiz that would indicate whether or not a person might be suffering from JSDS. Well, that’s smple! Do You Suffer from Jam Side Down Syndrome? The Quiz! 1) How many articles of clothing are hanging in your closet this very minute that have jam stains on them? 2) How many times did you slip on some jam and fall down the stairs this morning? If a tree fell in the forest do you think it would land jam side down? Suppose you were skydiving while eating toast and jam and your parachute failed to open. What odds would you give yourself of landing Jam Side Down? Suppose you were walking through a beautiful garden and were hit on the head by an asteroid with jam on it that was hurling to earth at a tremendous speed. Would the undertaker have to charge extra for washing jam out of your hair? So there you have it, Dear Reader. If you answered yes, no, or 17 perhaps? to any of the above questions, you are most definitely suffering from Jam Side Down Syndrome BIG TIME! Quickly!! Put down that toast and jam and call your local pharmaceutical company immediately. . . there’s not a minute to lose . . .oh . . and please, please try not to get jam all over the phone! Dear Readers, I think you’ll agree when I say that this world doesn’t need more current events. What this world needs is more current events coloring pages. 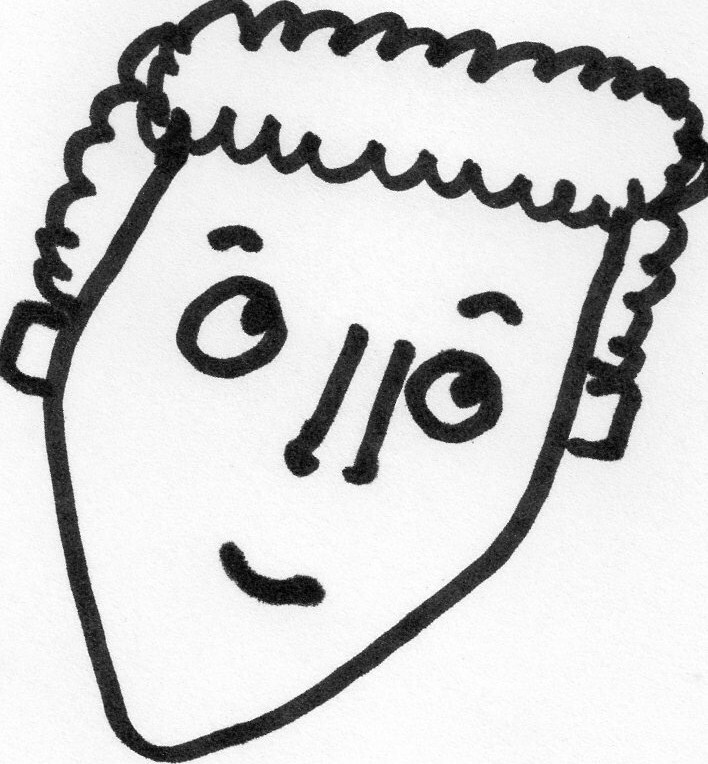 To that end, this blog has taken it upon itself to provide coloring pages for some of today’s true news stories. While we humans today enjoy sinking our teeth into a MacDonald’s Big Mac apparently some of our ancestors ate nothing but grass. After examining the teeth of the ape-like 2.5 million-year-old East African Hominids, researchers from the University of Barcelona and the George Washington University in Washington, D.C. have concluded that they ate mostly grass. A new study found bees can do arithmetic. After watching bees do stuff ad nauseum, Professor Adrian Dyer found that symbols representing simple math problems were presented to bees tasked with picking the tunnel that was marked with the correct answer. Incredibly the bees were able to get the answer right 75% of the time! When Emily Edwards was a little girl vacationing in Wales, she stuck a message in the bottle and launched it out to sea. Imagine her surprise when it washed up 17 years later! And that concludes the current affairs coloring pages fort day Dear Readers! Happy Coloring! Welcome Dear Readers to this Sunday’s edition of the Gregory’s Stories. Let’s listen in and see what Gregory learned in Sunday School this morning shall we? One day, while Moses was cleaning out his closet, throwing out robes he hadn’t worn for over a year (because the same rules applied for closet cleaning in biblical days as they do today), there was a knock on the door of his tent. Of course Moses didn’t hear it, for knocking on doors made out of cloth was a rather futile endeavor even back in biblical times. 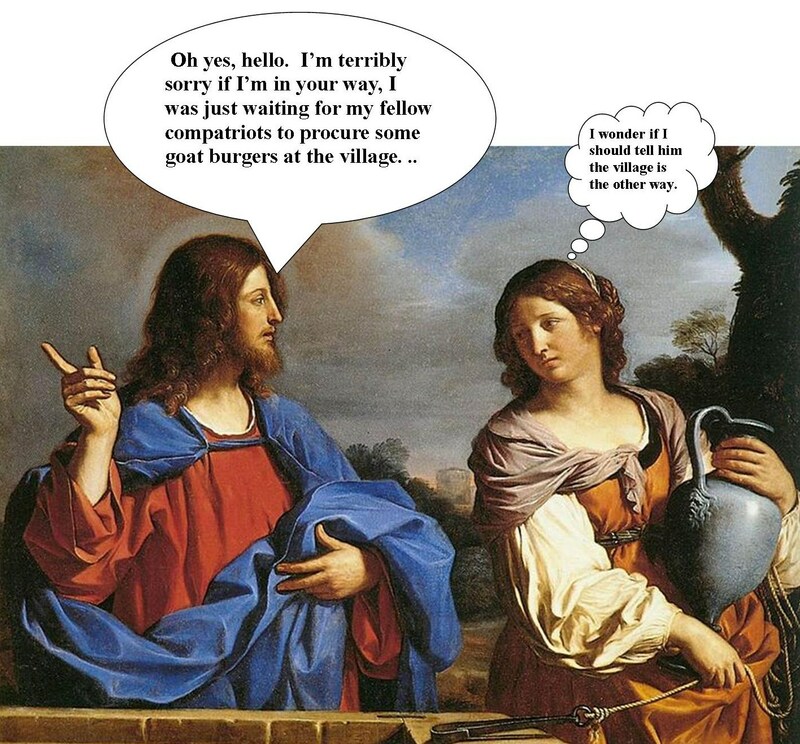 But Mose’s wife had excellent hearing and yelled to Moses that someone was at the door and would he mind answering it as she was in the Bathshebaroom. So Moses answered the door but it wasn’t the Lord, it was a spy the Lord had sent to go to the land of Canaan to bring back some fruit and to find out if the people there were going to be hard or easy to slaughter on a scale of one to ten, one being cinchy and ten being No Way Jose! Moses: So are the people in Canaan going to be hard to slaughter or easy? Moses: Uh is that a yes or a no . . . my Pig Latin’s a little rusty, sorry. Spy: Let’s put it this way, everybody there was at least 40 cubits tall. Moses: I’m terrible with weights and measures, sorry . . .
Spy: Well you know how big a grasshopper is compared to us? Moses: That depends . . . is a grasshopper the same as a locust? Spy: Well, I’ve got a grasshopper in my pocket, see how big he is? Spy: Yeah, well that’s how big we are compared to the people we saw. Moses: Uh oh . . .
Spy: Suffice it to say, Moses, that these people are a lot bigger and stronger than we are. Moses: Oy! And what does suffice mean again? Spy: We are going to get our donkeys whooped! Moses: I don’t like the sounds of that! Perhaps as a precautionary measure we should hide our asses before battle. Spy: Uh, I don’t think there’s going to be any battle. On the way over here all the unwashed masses were murmuring and mumbling about how they weren’t going to go to war. Moses: All the unwashed masses murmured that? Spy: Yes and mumbled it too. Moses: Oy! 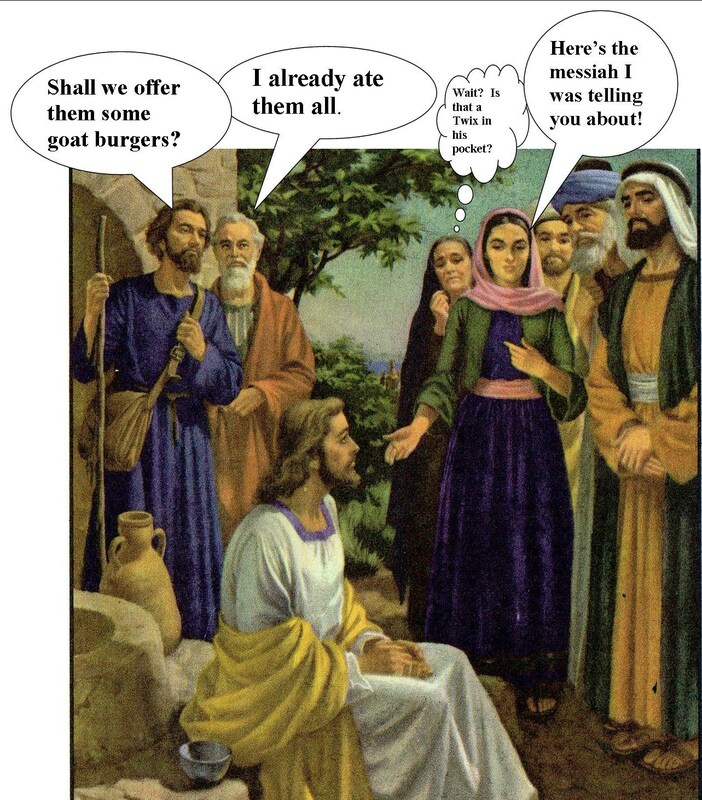 But what about the washed masses? Spy: Six of one, half a dozen of the other, you know what I mean? Seconds later, the Lord showed up on his pillar cloud and told Moses that because the unwashed masses didn’t want to go into battle, the Lord was going to kill each and every one of them including their children and grandchildren — then scatter their corpses across the wilderness, Moses thought it might be a good time to stage a drunk with power intervention. 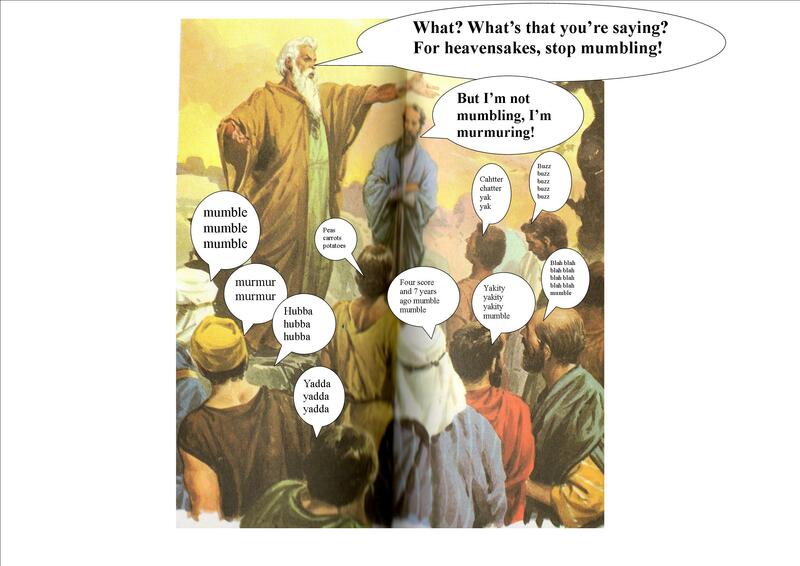 So Moses tried to reason with the Lord, pointing out that if the Lord killed everybody, He would besmirch His reputation as a Huggable Teddy Bear Stuffed with Loving Kindness who traveled around the land in His Cloud Pillar answering prayers and whatnot. But the Lord was umoved by Moses’ intervention and sent everyone scurrying to go to battle with the giants of Canaan. Naturally every Israelite that went to battle the giants was stepped on and squished in the first three minutes and the ones that weren’t got sprayed with Raid Israelite Spray. It was just as well, really, because as it turns out the unwashed masses had forgotten and left the Ark of the Covenent in Moses’ tent and a good time was had by everyone who wasn’t dead. 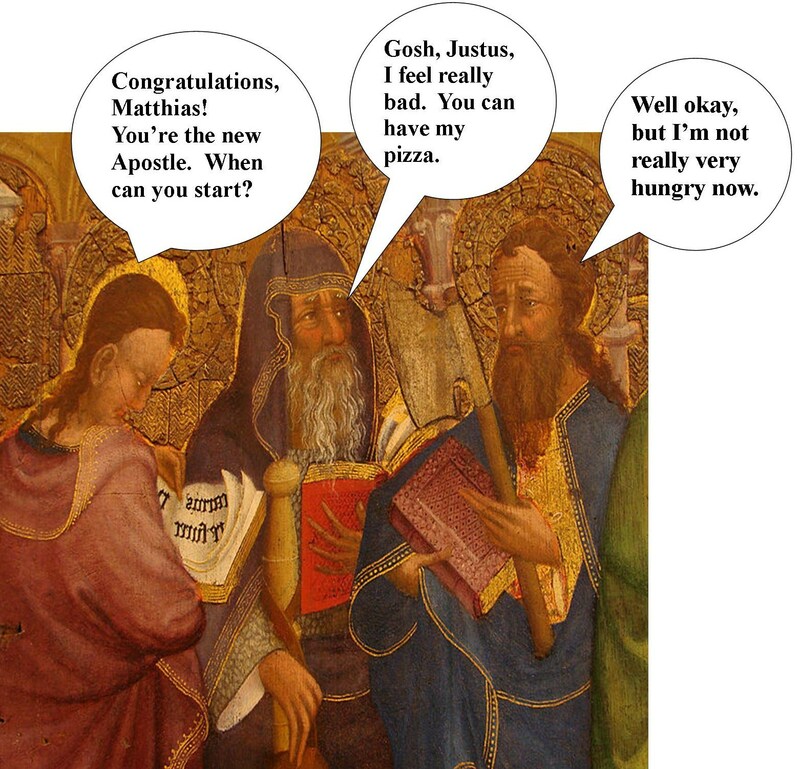 And there you have it, Dear Readers, this week’s installment of The Bible According to Gregory. Stayed to tuned next week for more biblical adventures!